Microgrids offer a classic example of government policy chasing technology. While microgrids are being developed worldwide, few jurisdictions offer much-needed policy guidance and certainty. 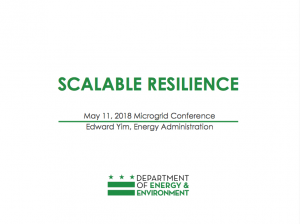 At Microgrid 2018, Edward Yim, associate director at the DC Department of Energy and Environment, shared how scalable resilience and a focus on climate strategies can pave the way for a more reliable energy future. Yim pointed out the industry is taking a decarbonization approach, including a variety of different energy transition technologies. Think neighborhood-scale renewable energy and net zero districts, as well as grid modernization and efforts to great more resiliency and efficiency on and off the grid. Decarbonization measures include using alternative energy sources like heat pumps, wastewater thermal, rooftop solar, renewable combined heat and power (CHP) and more. The result of these efforts can optimize distributed energy resource potential, intentional islanding and backup power and grid of microgrids and district energy. And, of course, incentive alignment will help push all these initiatives and objectives along. Within the presentation, Yim also provides a map that tracks energy potential, as well as hosting capacity issues, throughout the metro D.C. area. Potential solutions to capacity issues include using advanced metering infrastructure (AMI), advanced inverters and battery storage for dynamic feeder load management. Yim also provides a list of tailored solutions for resilience for a variety of different uses, including buildings, streets, campuses and neighborhoods. Energy sources for these models include rooftop solar, batteries, CHP, aggregated distributed energy resources (DERs) and more. The presentation then zeroes in on neighborhood resiliency — which can work on a neighborhood scale or in a larger community like Brooklyn, N.Y. What if entire streets and communities were able to island for resiliency in light of a utility failure? 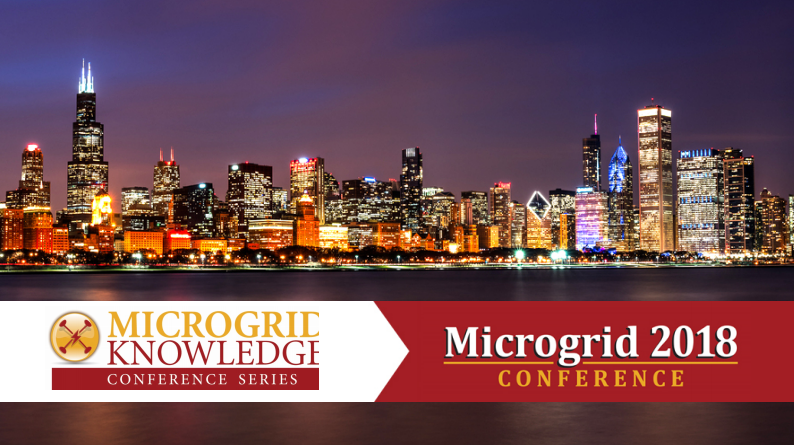 Download the full presentation from Microgrid 2018 to learn more about how scalable resilience and a focus on climate strategies can create a more reliable energy future.